I have been seriously considering bariatric surgery for over 10 years, however kept telling myself that I can do this, I can lose the weight on my own. This mindset allowed me to stay heavy for 10 years too long. I have tried many ways to shed the weight but was unable to take more than 20 pounds off. My body was starting to hurt more, 2 bulging disks and sore knees and a weight of 280 kept me from participating in life. I also have no thyroid due to Hashimoto's disease and a very large goiter, this hindered my weight loss as well. My niece had Bariatric surgery (VSG) surgery 2 years ago. I was able to see how it helped her so much and how she began to start living her life again. 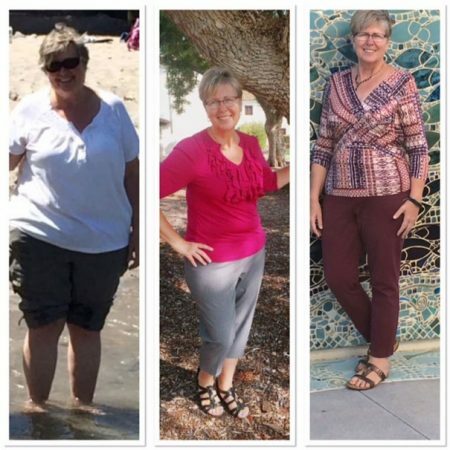 She ate smaller meals more often and continued to lose weight and become healthy. One day I went into my doctors and said I would like to have weight loss surgery. She agreed that it would be beneficial for me to look into the process. She referred me through my insurance which then sent me for a visit to UCLA COMET program. From the moment I made my appointment to my surgery to my after care, I was treated with care, professionalism and commitment. The office staff made all my appointments, made sure my insurance was taken care of and did not leave me wondering if there was anything I needed to do, the staff was very efficient. Dr. Chen did my surgery (Sleeve Gastrectomy) and I felt cared for and in competent hands from the start to finish. I was 56 when I had the surgery and wish that I would have done it sooner. I feel so much better with more energy and stamina to complete my day. I walk 5 miles a day and working up to 6 miles and occasionally run a ½ marathon. I would have never done this at 280. I am now at 185 with 20 more pounds to get to goal. I am 1 year and 2 months out of surgery and feel great, the hardest part is I can eat whatever I want but in small amounts. The work now is on me to continue to nurture my body and feed it the best foods I can. I am also a vegetarian so my challenges are a little different but not impossible, I just choose my foods a little differently. The process was easy due to the wonderful office staff and Doctors. I would recommend anyone who has been thinking about this surgery to go ahead and look into this program. These are competent people who want the very best for their patients. The outcome is so worth it!